~ The FDA has updated information of potential adverse neurologic effects for all isoxazoline class flea/tick products, 1 to 3 month flea/tick pills. This includes Nexgard, Bravecto, and Simparica. Reported problems include muscle tremors, ataxia, and seizures. We have had only one adverse reaction in a toy dog. Monitor you pet if starting Nexgard, or another product, and consider an alternate option for pets with any of these symptoms. Please report any that your pet may experience. ~ The Cyto-Point treatment for atopic allergic dermatitis is now available at our clinic. This is an injection that is given every 4 to 8 weeks. 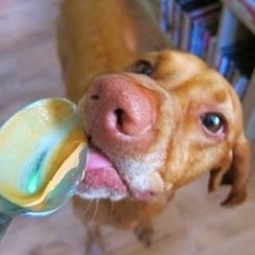 ~ Xylitol toxicity in pets: Xylitol sweetner, used in gums and toothpastes, is now showing up in more food products, including peanut butter and other treats, even supplements and medications. Safe for humans, it is deadly for dogs and cats, even is small amounts. READ LABELS carefully! Keep this sweetner out of your home! ~ Thunder and noise phobias: Acepromazine tranquilizer is no longer recommended for this problem, and may even make it worse over time. Please contact us if you are using "Ace" for your pet. Other anti-anxiety drugs are available to help your pet. ~ The Orange County Humane Society's Community Cat Trap Neuter Return Program is now a reality. The TNR program meets the need for spaying and neurtering the cats so they do not continue to reproduce. This is a great program that will eliminate ever growing cat poplulations in a humane manner.